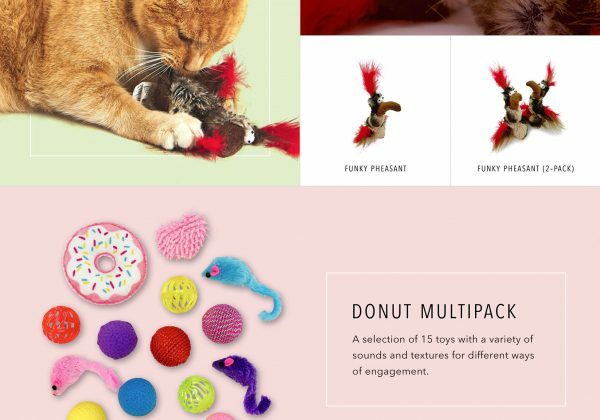 Pet Craft Supply Co. is a new pet product brand that sells quality pet products at affordable prices. 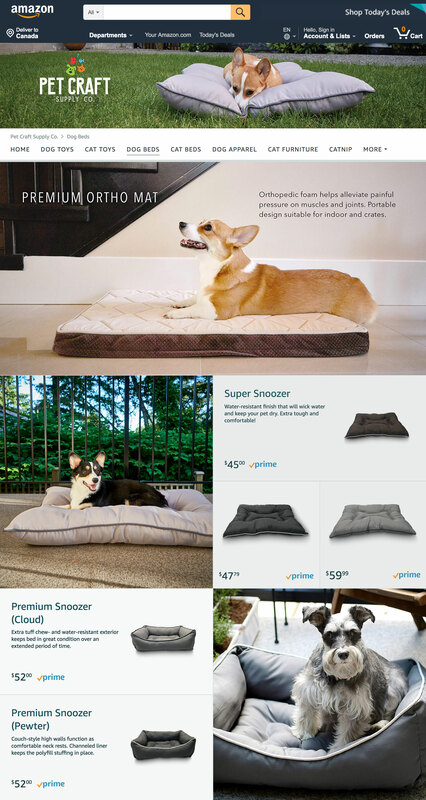 I was tasked with building the brand's website and Amazon Storefront. 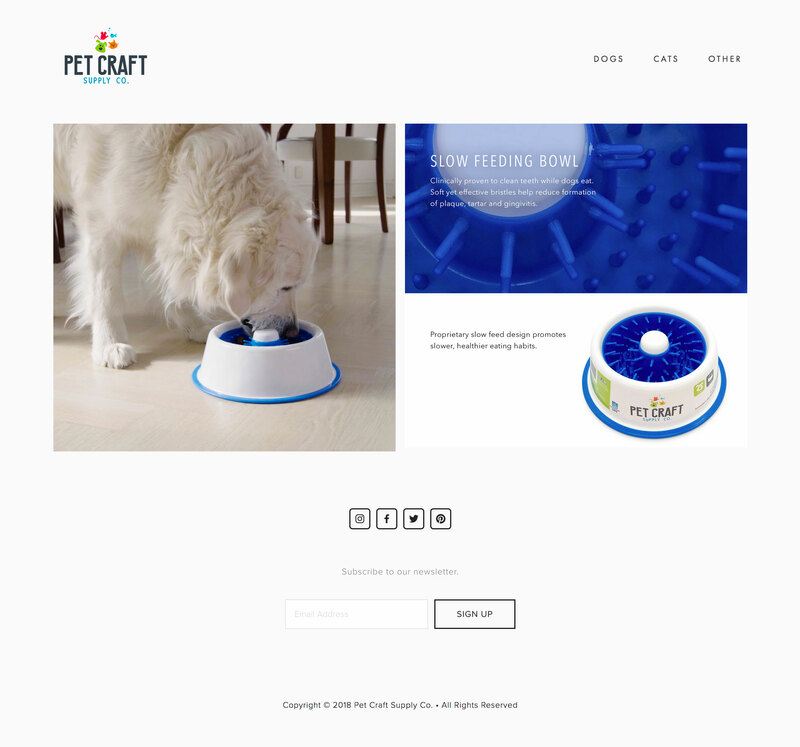 As Pet Craft shares a parent company with some other more affordable pet product brands that are sold through Amazon, I wanted to create a more distinct and deluxe look for the more premium brand name. 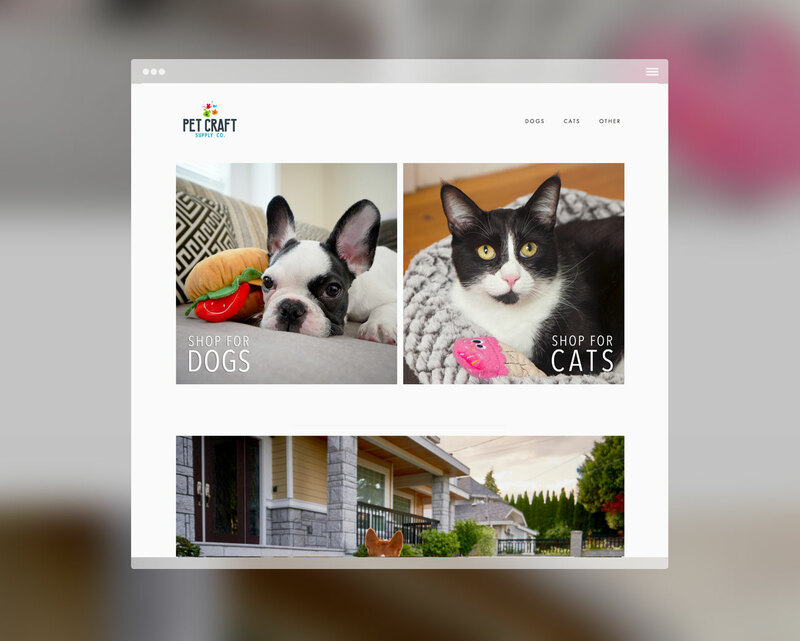 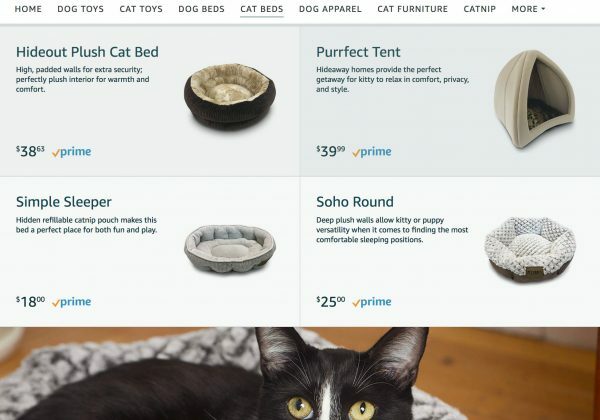 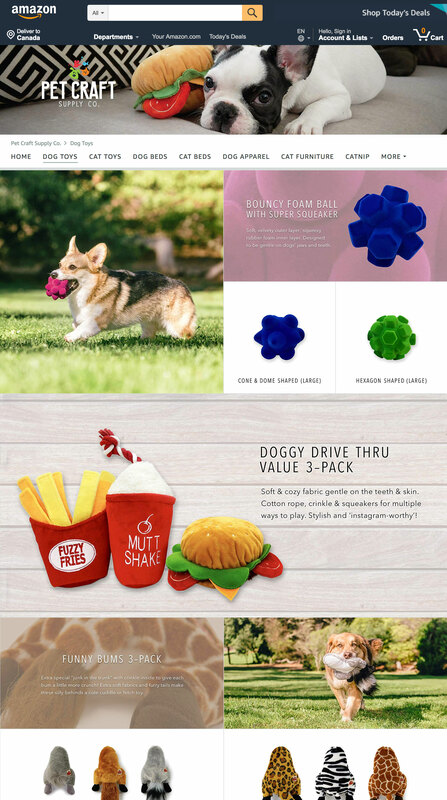 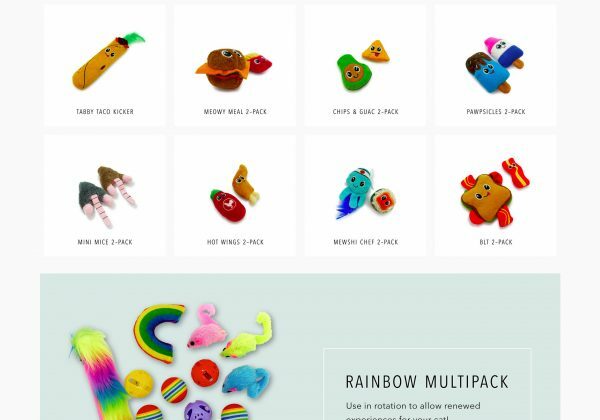 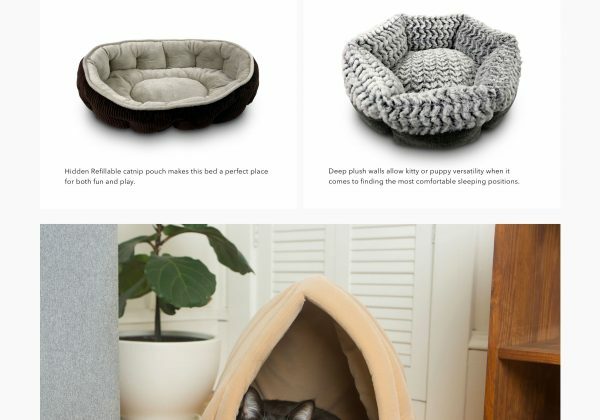 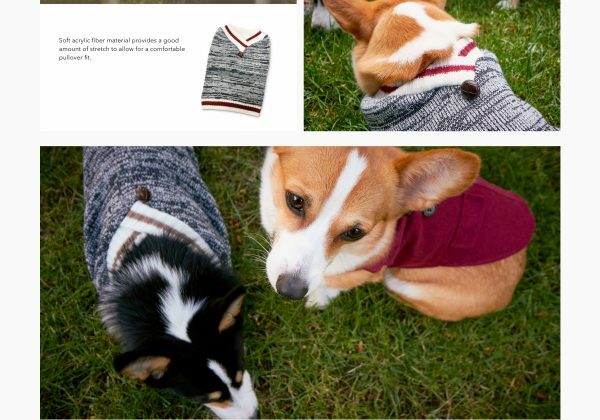 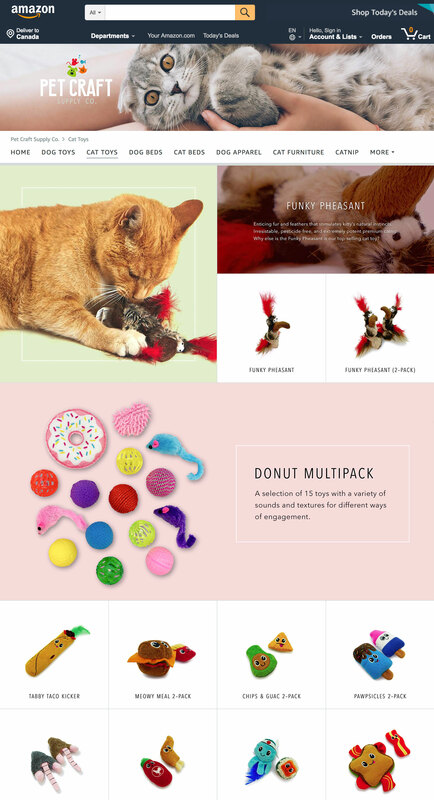 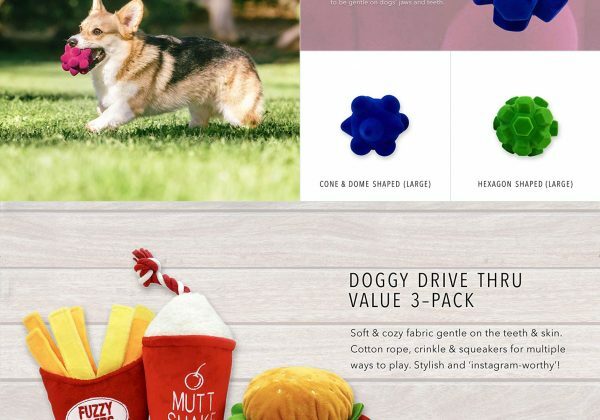 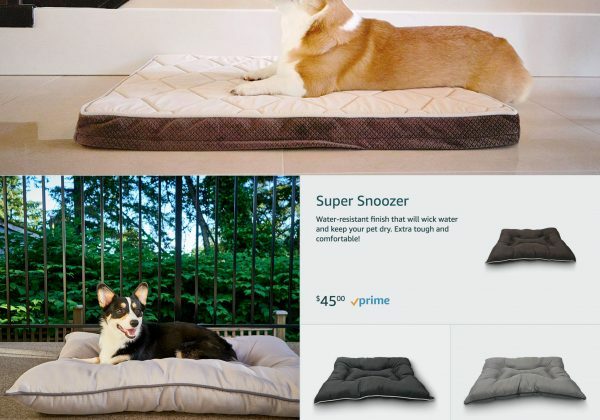 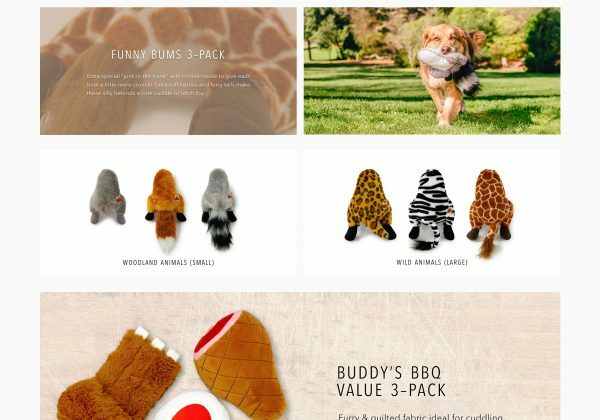 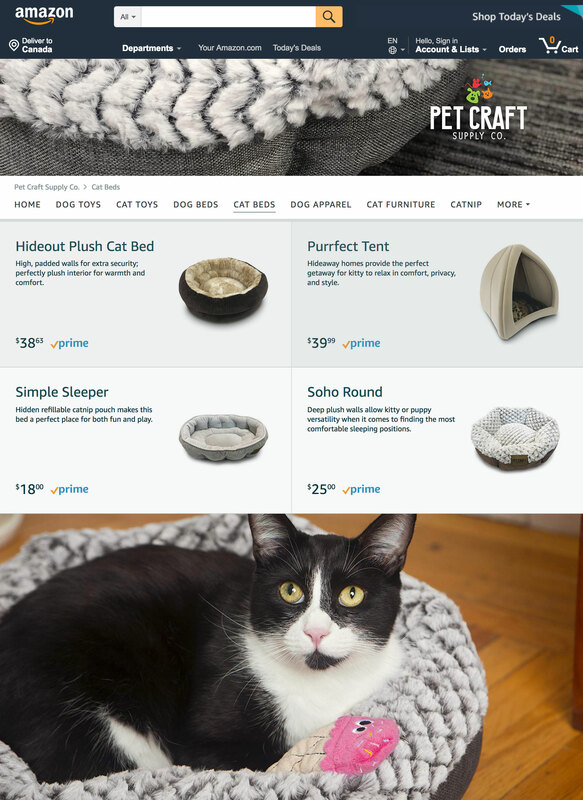 Instead of the original plan of having a simple landing page with a link to Pet Craft's Amazon Storefront, I proposed for the website to include products for customers who find the brand through other means outside of Amazon. 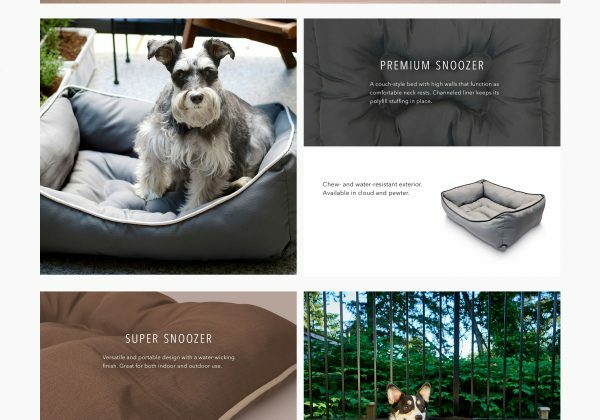 It was then decided that the website will mirror the Amazon Storefront, so I went with a minimal grid layout that will work well on both sites and allow customers to browse through products easily. 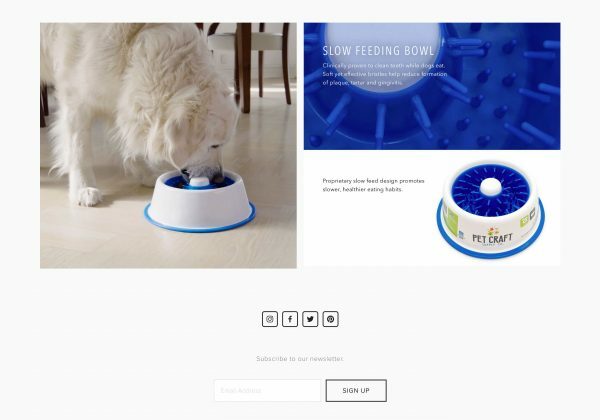 Select bestselling products are highlighted with lifestyle photos to entice customers to click on the products. 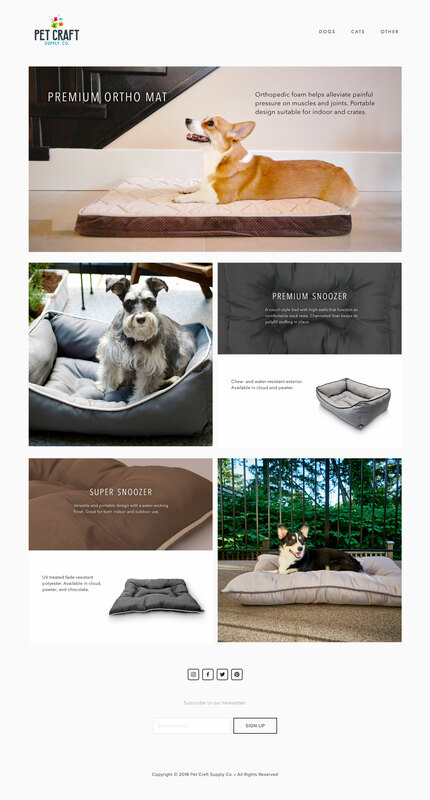 Photoshoots: Due to the lack of usable product lifestyle photography from the company archives, I organized photoshoots with my own and friends' dogs to model the products.